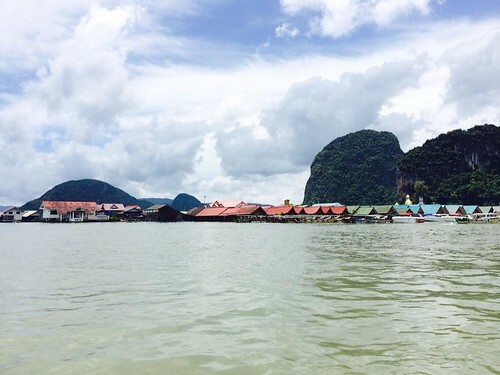 The floating village of Phuket! At first I didn’t believe what I was seeing. We were basically in the middle of nowhere, when our boat approached this little village. Crazy that this whole place is just floating on water. Oh. Did I mention this is where we had lunch? 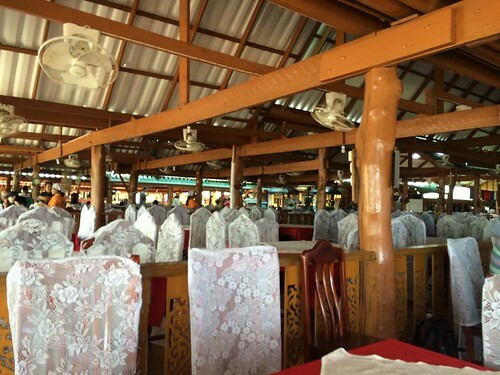 As part of the tour package to James Bond Island, we got to eat Thai Food (Buffet Style) at a restaurant called Panyee Seafood Restaurant, on the floating village. Reading through the internet forums, it appears that the floating village was constructed mainly for tourism purposes. Well I think that was a great decision and idea, because it is really unique. The village itself is inhabited by mostly muslims, which is why there is a Mosque where you can visit. Not bad! though as you can see it was not really that packed. I mean, it’s not like you can take a bus or cab here. The restaurants rely purely on tours to provide them with customers. Well, I didn’t expect much to begin with since it was going to buffet style, but it definitely surpassed my expectations ! 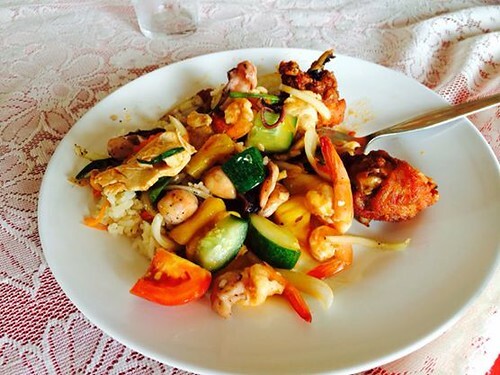 There were pad thai, rice, chicken wings, shrimp, and veggies. It was, actually quite delicious. I am hungry now. Eating Ramen tonight in Hong Kong!!! Will also post about that lata! haha i didn’t get seasick.. i am pretty good with these things! You probably had too much to eat!